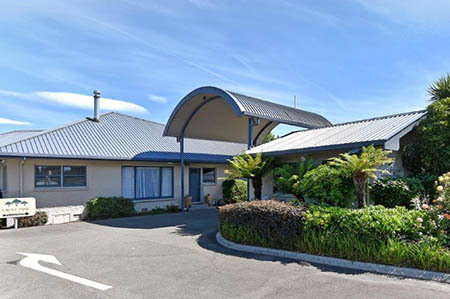 Motor Lodge Blenheim on 81 Grove Road (SH 1) - the main Picton to Blenheim road. Nestled amongst the trees so traffic noise isn’t a problem. An easy 20 minute drive to the Picton-Wellington ferry terminal and just 3 minutes from Blenheim town centre, just South of the Opawa river bridge. Easy to find and a great place to stay. For a night… for a week. Plenty of Free Guest Parking. Restuarants within 50 metres include Grove Tavern, Dobsons Street Beer Garden & Restaurant. 300m to KFC and Subway. Major event Facilities within 300m - Lansdowne Park - Rugby and netball. We are the closest Motel to the Blenheim Racecourse.